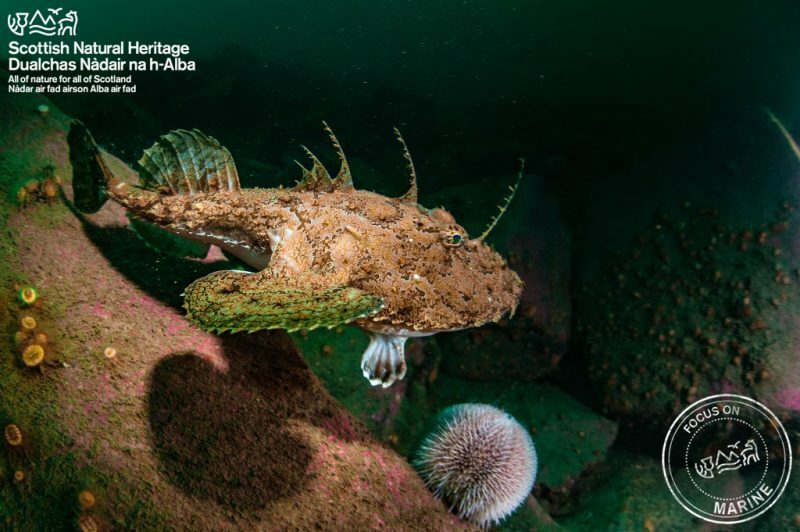 Scottish Natural Heritage (SNH) have declared May as marine month and this new blog post explains more about their work at sea. It’s marine month here at SNH and our focus throughout May will be on the wide range of work we’re involved with in or near our seas, and on connecting people with our fantastic marine wildlife and seascapes. Scotland’s coasts and seas cover a huge area. Our 18,000km coastline, which includes around 800 islands, would stretch all the way to Australia if straightened out. At almost half a million square kilometres the sea around Scotland is six times the size of our land mass and home to a huge variety of internationally and nationally important wildlife. From the smallest plankton, the foundation of marine ecosystems, to the largest animals such as basking sharks and minke whales, Scotland’s marine life is truly diverse. Our coasts and seas are home to around 8,000 animal and plant species, and many important, and sometimes unique, habitats. Scotland is one of only two countries in the world where you can find flower-rich machair grasslands and in the summer our cliffs host some of the largest and noisiest seabird colonies in the world. Out of sight on the seabed, are fragile habitats such as serpulid reefs made up of numerous tubeworms, beds formed by millions of glowing flame shells, and forests of elegant sea pens. SNH plays a key role safeguarding this precious wildlife, advising on its management and helping people to benefit from and enjoy it. Scotland’s Priority Marine Features list helps to focus our conservation action, direct research and education, and promote a consistent approach to nature conservation advice. Our specialist marine staff work all around the country, above and beneath the waves. We carry out various types of marine surveys, to monitor marine protected areas and to better understand the nature and condition of sea life. This information helps us to advise Scottish Government on appropriate management for Scotland’s MPA network. We also provide advice to industry and regulators to support activities and development proposals, to help minimise their impact on nature and landscapes, for example on offshore wind farms, aquaculture and sea fisheries. Use of our coasts and seas is intensifying and we are currently involved in developing marine plans which will minimise conflicts between users and steer activities away from the most sensitive areas. We are also working closely with others to help communities and marine users get involved in monitoring the condition of their local seas, so they can better influence future management. As oceans warm and sea levels rise our coasts and seas are changing. Management of our seas is also constantly evolving as we learn and develop new techniques to explore and make use of the sea’s riches, whilst ensuring they remain healthy and productive for future generations to enjoy. Keep an eye on our blog and other social media throughout May, where we will be highlighting our coastal and marine work, including partnership work that we do with industries, other organisations, young people and communities. In the meantime, here’s a short video about Scotland’s network of Marine Protected Areas.